Hanukah, the Hebrew word meaning dedication, is celebrated for eight days in the Hebrew month of Kislev, which usually occurs in mid to late December. Hanukah recalls the struggle for religious freedom and commemorates the victory of the Jews over the Hellenistic Syrians in the year 165 B.C.E. The story begins in 338 B.C.E. when Philip of Macedon invaded Greece. Athens and the Greek states, along with their pagan customs, became part of the Macedonian empire. Two years later, Philip died, and his son, Alexander, assumed the throne. Alexander the Great, as he was known, conquered territories from Macedonia and Greece across the Persian empire to the borders of India. Included in this empire were Egypt and Israel, then considered part of Syria. When Alexander’s army reached Jerusalem, the Jews, already under Syrian occupation, did not resist. It was Alexander and his forces that first brought Hellenism to Jerusalem and the Jewish people. However, the Jews did not rush to adopt the Greek religion and culture. For all its beauty and accomplishments, especially in the fields of athletics, theater and philosophy, Hellenism had a dark side. In ancient Greece, behavior that is today considered deviant, such as infanticide, pedophilia, adultery and institutionalized prostitution, were routine and even encouraged. To Jews, who valued the Torah and purity of family life, these aspects of Hellenistic culture was incompatible with their own. When Alexander died, his empire was divided between his generals: Antigonus, Seleucus, and Ptolemy. Antigonus ruled Macedonia and Greece; Seleucus ruled Babylonia, Persia and Syria; and Ptolemy ruled Egypt and Israel. Like Alexander, Ptolemy was a great champion of Hellenism. The empire he established dominated Israel for almost 100 years. It was under Ptolemaic rulers that many Jews began to adopt aspects of Greek culture. These Jews were referred to as Hellenists. For them, Greek culture represented the way of the future and the fastest way to succeed in Greek society. In 199 B.C.E., The Seleucid dynasty that ruled Syria took control of Israel from the Greek Ptolemies. It was under the Seleucids that anti-Jewish decrees were first issued against the practice of Judaism. Sabbath observance, the study of Torah, and male circumcisions, for example, were forbidden on pain of death. In addition, Greek Gods and other symbols of Greek culture were put inside the Holy Temple, desecrating the center of Jewish ritual life in Jerusalem. In the year 167 B.C.E. the Greek king, Antiochus Epiphanes began a campaign to force the Jews under his rule to formally adopt Greek practices. One Jewish family, five sons and their old father, took a stand. One day Greek forces arrived at Modiin, the home of Mattityahu, an elder and religious leader of the prestigious Hasmonean family. There, the army established a Greek religious altar and ordered Mattityahu to offer a sacrifice to a pagan god. Mattityahu refused, but while he stood firm, another Jew offered to make the sacrifice. Enraged, Mattityahu killed him and attacked the Greek soldiers. His action sparked a Jewish rebellion, which he and his sons led. They became known as the Maccabees, which in Hebrew, means Men Who are as Strong as Hammers. Led by Judah Maccabee, the most famous of Mattityahu’s five sons, the Maccabees, a force much smaller than the powerful Greek armies, finally triumphed in 165 B.C.E. On the 25th of Kislev, the Maccabees reclaimed the Jewish Temple, which was, at that point, almost unrecognizable as a place of Jewish worship. The Talmud says that when the Jewish army wanted to rededicate the Temple, they were unable to find enough specially prepared oil to light the Menorah, a holy lamp, or candelabra, used in the Temple service. Finally, in one Temple chamber, the Maccabees found a single bottle of oil, which normally would have lasted only one night. However, by a miracle, the one bottle of oil lasted eight nights, until new oil, fit for Temple use, could be produced. This is the miracle Jews commemorate to this day. By lighting the eight Hanukah lights of the menorah, Jews everywhere recount the triumph of our ancestors against immorality, the rededication of the Temple in Jerusalem and the miracle that a one day supply of oil lasted eight days. For reasons unexplained, the actual story of Hanukah and its great rebellion was never included as an official book of the Torah. Instead, it was written down in two works known as the Books of the Maccabees. One was written in Greek and the other was written in Hebrew. Both survived by being translated by the Christians. They appear today as the Apocrypha, which is Greek for hidden writings, and can be found in English as an appendix to the bible. There is also a midievil work called Megilat Antiochus, the Scroll of Antiochus, which was modeled after the Scroll of Esther. Even in the Mishnah, where all aspects relating to religious life were recorded, there are only a few references to the holiday and its story. One of the most famous references, took place in the form of an argument between the first-century rabbis, Hillel and Shamai. The two were known for their heated debates. One of the most famous centered on lighting the menorah. Hillel said the candles should be lit progressively from one to eight, while Shamai believed just the opposite. 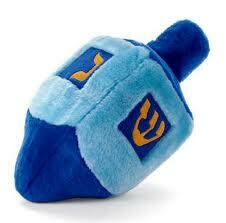 Other than this debate, there is little reference to Hanukah. There isn’t even a rabbinic discussion about the laws pertaining to the lighting of the menorah, except for a breif mention in the tractate Shabbat 21b, where the question, ‘What is Hanukah?’ is raised.. Some bible scholars say it was a deliberate omission by Rabbi Yehuda Ha-Nasi, who in about 180 A.D., compiled the Mishnah, the codification of the Oral Torah. The rabbi had good relations with the Roman authorities, the rulers of Israel at the time, and may have wanted to minimize mention of an earlier rebellion against a similar overlord. The omission of Hanukah may also have reflected a certain Rabbinic disdain of the latter Hasmonean dynasty of priest-kings who later, ironically, became Hellenists and actually opposed and even persecuted the rabbis.